Okay, so we all know that diet and exercise aren’t everything when it comes to helping us lose weight. But despite this knowledge, many (and perhaps most) of us fall far short of reaching our desired weight. In this article, we’re going to discuss the factors that affect weight loss and weight gain, along with ten reasons why people don’t lose weight. We’ll also cover actionable steps you can take to increase the chances of shedding those stubborn pounds! Let’s do this! A definite relationship exists between the quantity and quality of one’s sleep and the tendency to gain (or lose) weight. Lack of sleep manifests physiologically as energy shortages and feelings of exhaustion. To compensate for this shortage, the body will insist on getting more food – a completely normal response – and the body has to get fuel from somewhere. The problem is that, under such conditions, we’re more likely to reach for foods rich in carbohydrates or a drink loaded with sugar. Why? Because to the body they’re a much quicker means of providing the energy. Fix: The Natural Sleep Foundation (NSF) is perhaps the foremost authority on sleep in the United States. If you experience difficulties falling and staying asleep, it is essential to speak with a healthcare professional. When we encounter a lot of pressure, our bodies release excess stress hormones like cortisol. Cortisol maycause the body to resist insulin, thereby raising blood sugar and increasing fat storage. Weight gain resulting from stress probably has stronger roots in psychology than biology, however. Psychologically, “stress eating” is a genuine phenomenon, occurring when there’s a decrease in blood sugar levels. Sudden drops in blood sugar can stimulate appetite and lead to impulsive eating. Fix: There are many ways to decrease stress levels. But first, it is vital to understand that stress is a normal part of life and that exposure to reasonable amounts of it isn’t necessarily a bad thing. However, when high levels of stress begin to interfere with things like sleeping and eating, it’s time to take a close look at the catalyst(s) and then minimize your exposure. Exercise, meditation, yoga, and deep breathing exercises are among the best ways to reduce immediate stress. You’re smart enough to know that getting older pumps the brakes on your metabolism, making it much easier to gain stubborn pounds. We’ve all heard the phrase “muscle weighs more than fat,” which is true. Unfortunately, as we age the body is less able to produce muscle. Adults who ignore these facts and continue to eat unhealthily will quickly notice fat accumulation, muscle loss, and weight gain. Fix: Understand the physiological effects of aging and adjust your lifestyle accordingly. As it pertains to diet, make sure to take in more fruits and vegetables and less junk. Drink plenty of water (see below) and perform regular exercise within your physical capabilities. THEY’RE NOT DRINKING ENOUGH WATER TO LOSE WEIGHT. H2O helps regulate our metabolism and digestion along with numerous other functions. Besides throwing a wrench into our metabolic and digestive systems, dehydration increases appetite. Too often, the body is signaling for more water – not food – but we mistakenly indulge in the latter nonetheless. This is a very bad unconscious habit to have when trying to maintain a healthy weight and body. Fix: Know the minimum recommended daily intake of water and drink it. Remembering to “drink eight 8-ounce glasses” of water is easy – and is recommended by most health authorities. It is most beneficial to spread this water intake throughout the day. If overweightness or obesity runs in the family, you have a much higher chance of being overweight or obese. Genetics is believed to factor in up to 70 percent (!) of a person’s weight. Experts state that your ethnicity also affects your propensity for or against weight gain. For example, studies show that African-American females are more prone to high blood sugar caused by insulin resistance as well as a lower basal metabolic rate. Both are known contributors to weight gain. Fix: There is no known “fix” for inherited genes that increase susceptibility for weight gain. However, following a regular diet and exercise regimen, and otherwise maintaining a healthy lifestyle, make it much easier to acquire and keep a healthy weight. THEY TAKE CERTAIN PRESCRIPTION MEDS, WHICH MAKES IT HARD TO LOSE WEIGHT. Many prescription medications are known to increase the likelihood of weight gain. Such drugs include beta-blockers (for hypertension and high blood pressure), antidepressants, anticonvulsants (for seizure disorders), antipsychotics, diabetes medicines (e.g. insulin), and steroids. Fix: Certain medical conditions necessitate the use of prescription drugs. It may be worthwhile, however, to have a conversation with your doctor regarding side-effects, including weight gain. Depending on certain factors such as time on medication, and the type and degree of side effects, the physician may opt to place you on an alternative medication. THEY HAVE AN UNDERLYING MEDICAL CONDITION. Certain medical conditions also increase the likelihood of weight gain. Known conditions include bipolar disorder, Cushing’s syndrome, diabetes, fluid retention, polycystic ovary syndrome (PCOS), prolactinoma, underactive thyroid, and many more. Fix: Weight gain due to an unknown medical condition is quite common. The best approach when dealing with a potential health condition is just to see a doctor ASAP. Early diagnosis makes life much easier on the patient by enabling them to manage the situation better, perhaps leading to more favorable outcomes including a healthy weight. THEY DON’T LOSE WEIGHT BECAUSE THEY HAVE ERRATIC EATING HABITS. Living in a society that encourages relentless “hustling and bustling,” it can be hard to set and stick to a regular and healthy eating schedule. Crash dieting also falls under this umbrella, as do trips to the local fast food joint. The former does nothing to solve weight problems in the long term; the latter is a sure means of getting fatter and otherwise unhealthier. Fix: You don’t have to watch the second hand on a clock to have a healthy eating schedule. Merely having a flexible but non-negotiable time window to eat your meals is enough. If you work outside of the home, you can best accomplish this by learning how to cook and put together a few quick, healthy meals. Get some Tupperware and bring your food to work. If crunched for time, prepare a bit extra and have leftovers for dinner! Successful dieting, if defined as “losing weight and keeping it off,” has a horrendous track record. While the official number is probably less than the “95 percent” failure rate frequently cited by diet-haters, it’s bad nonetheless. While a diet may be helpful for an upcoming event or a trip to Hawaii, too often, positive dieting effects turn out to be cyclical and short-lived. If one has any hope of maintaining a healthy weight, they must adopt healthy eating habits over the long-term. While the phrase, “It’s a lifestyle,” when applied to health may be annoying and redundant, it remains valid. Fix: Understand the nutritional requirements according to your age, gender, and weight. Implement a long-term goal of eating predominantly fresh fruits, vegetables, lean meats, and whole grains. And never pick up another diet book again! If you continue to struggle, it may be helpful to see a dietician or nutritionist about ways to lose weight and keep it off. We’ve known for some time now that sugar makes you fat. The reason sugar makes you fat is simple: high concentrations of blood sugar accelerate the storage of food as fat, not energy. Sugar and calorie-laden beverages and fruit juices are perhaps the most overlooked reason for unnecessary weight gain. Not only do these drinks drastically increase the odds of obesity of overweightness, but they are also terribly unhealthy. 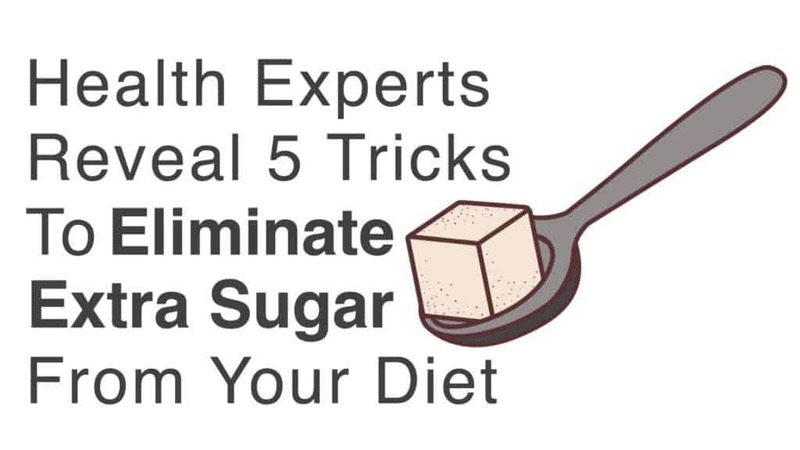 Fix: Abstain from sugary drinks and take in more water if you hope to lose weight. When you prioritize water consumption, the urge to drink soda and other unhealthy beverages disappear. If you must drink something other than H2O, drink a diet soda or low-sugar fruit juice or tea. Just don’t make it a habit.